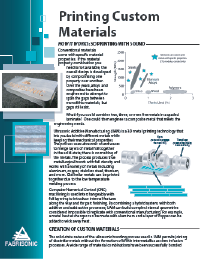 UAM utilizes a solid-state ultrasonic bonding mechanism that has minimal effect to a metal’s microstructure (unlike comparable powder-based fusion printing processes). 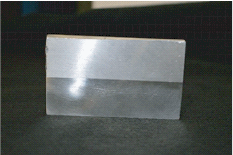 The solid-state bond in this technique permits joining of dissimilar metals without the metallurgical mismatch issues seen in other additive processes. A wide range of material combinations can be printed in a single part opening the design space to enable property gradients and engineered material properties for increased performance. 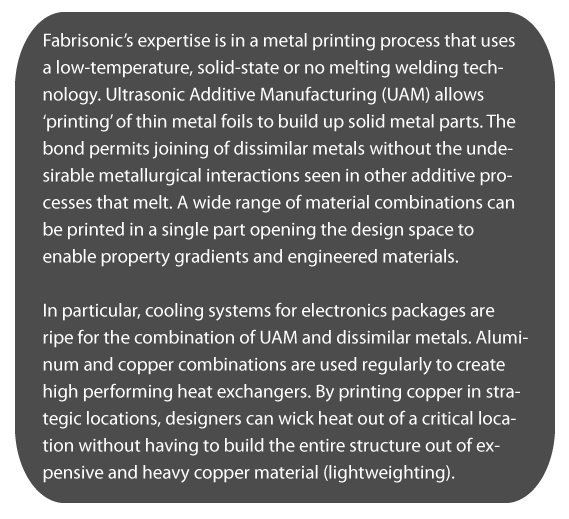 3D Printing Multifunctional Components – 3D printing metal gradients allows Fabrisonic to engineer material properties. 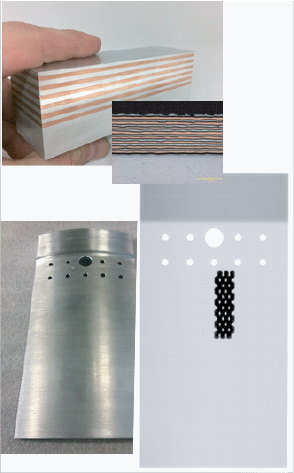 UAM has the power to create custom metal lamination solutions for applications that are out of this world. 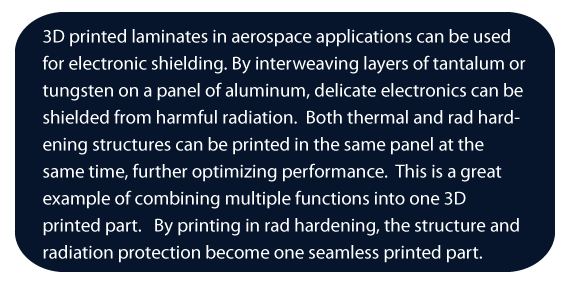 Through welding a series of different metals in a gradient through thickness, UAM allows satellite manufactures to protect sensitive electronics from the harmful effects of radiation. The combination of aluminum and tantalum foils shown on the left has the power to protect satellite equipment while making structural components multi-functional. 3D Printing Custom Material Properties – 3D printing alternating metals allows UAM users to tailor properties, such as thermal conductivity and density, to meet the needs of any application. 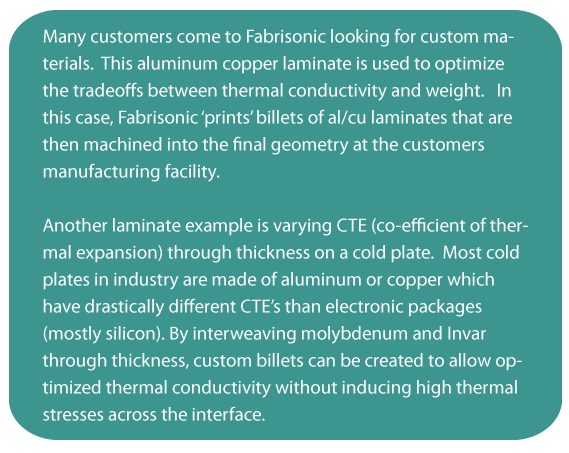 Alternating layers of high strength 6061 aluminum with layers of highly conductive pure copper allows thermal engineers to achieve the performance they need with a weight reduction that will get management’s attention. One great application for welding dissimilar metals is production of transition joints. In many industries, there is often a need to transition from metal A to metal B. However, fusion based joining processes create a thin layer of brittle intermetallics. Solid-state welding is the best approach to making these types of joints. 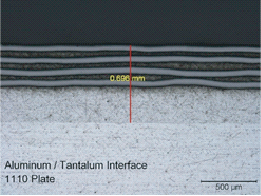 Fabrisonic can 3D print custom transition joints from many dissimilar metal combinations. The picture below shows a two inch thick transition from 304 Stainless Steel to 5052 Aluminum.